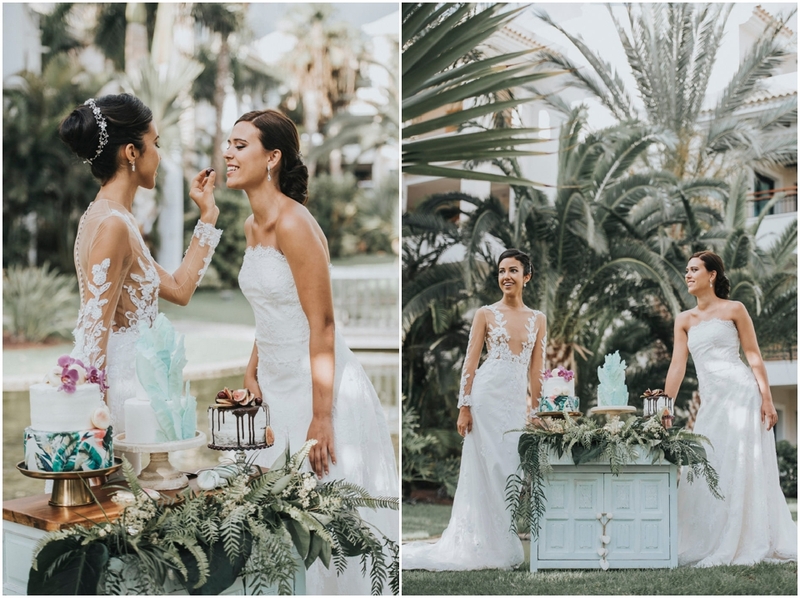 Tenerife is one of the best LGBTQ+ destinations in the world. 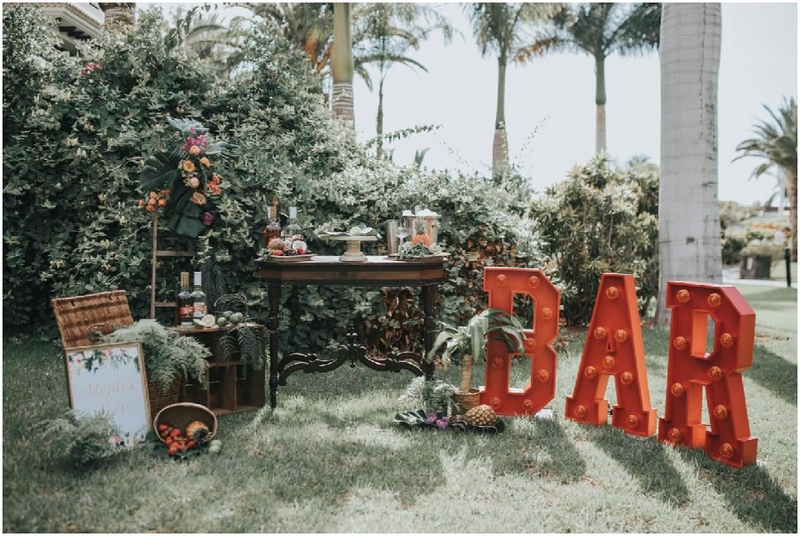 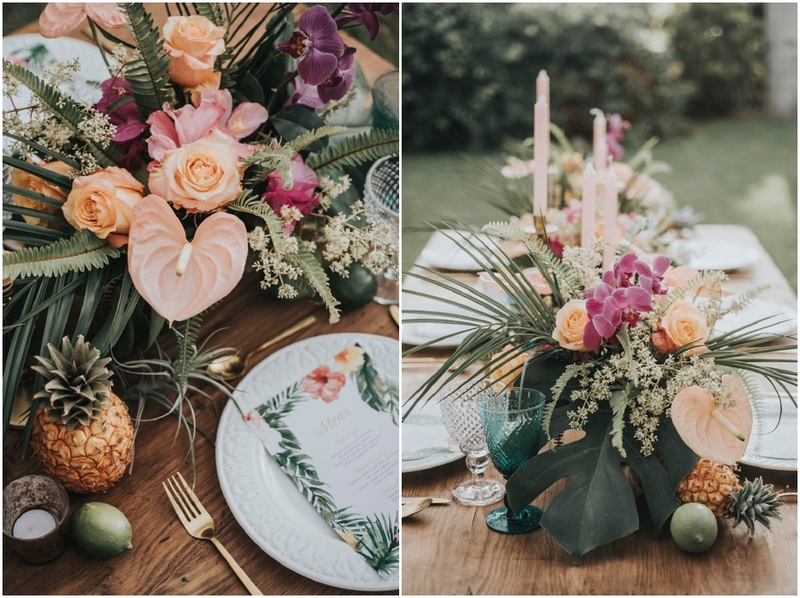 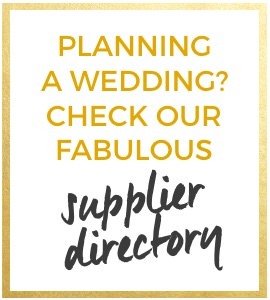 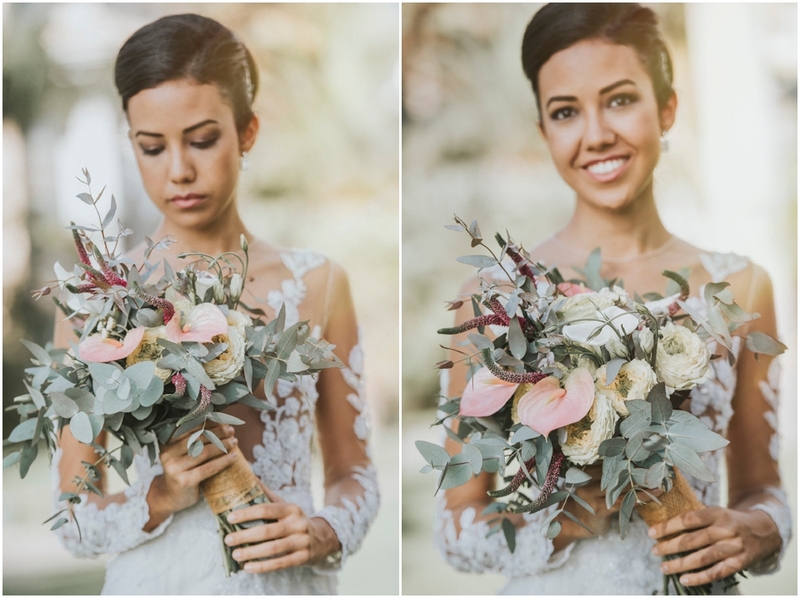 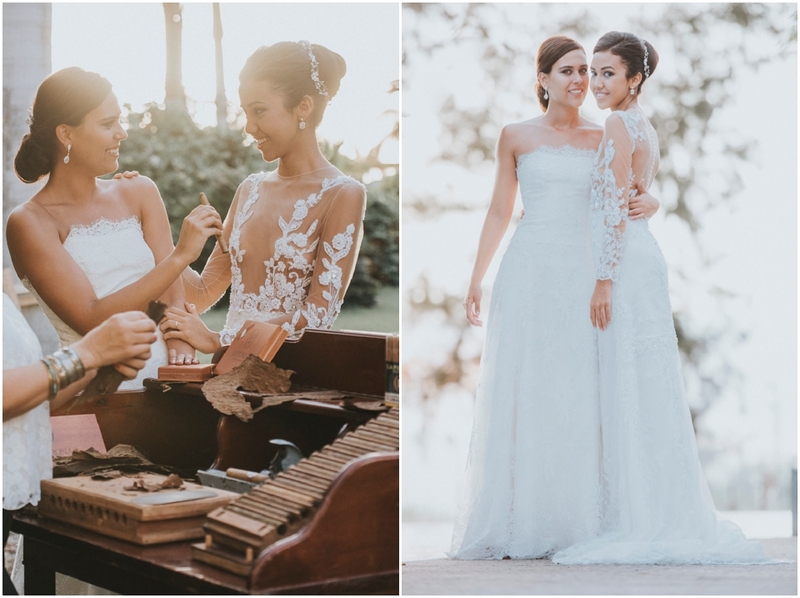 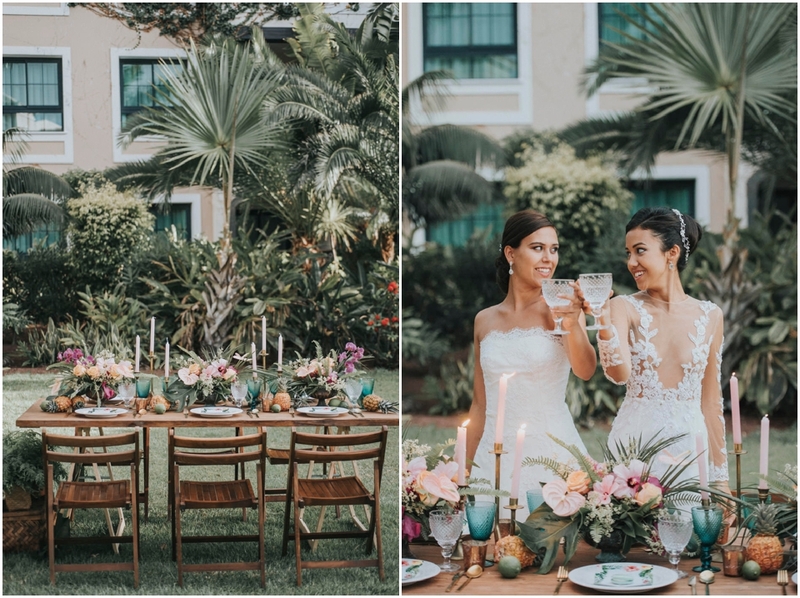 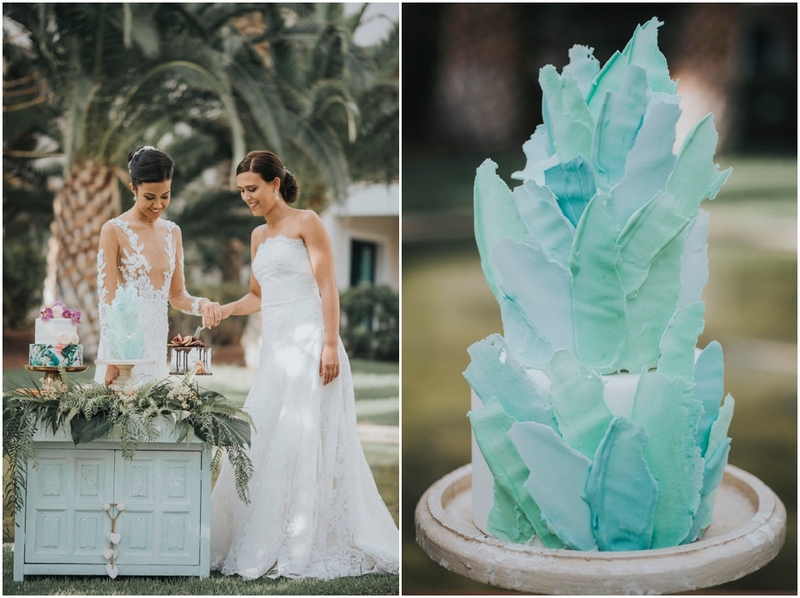 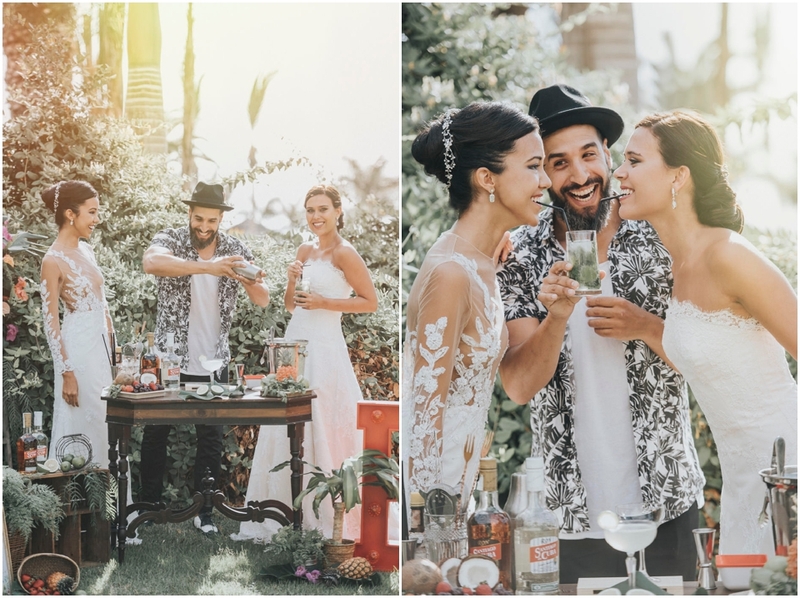 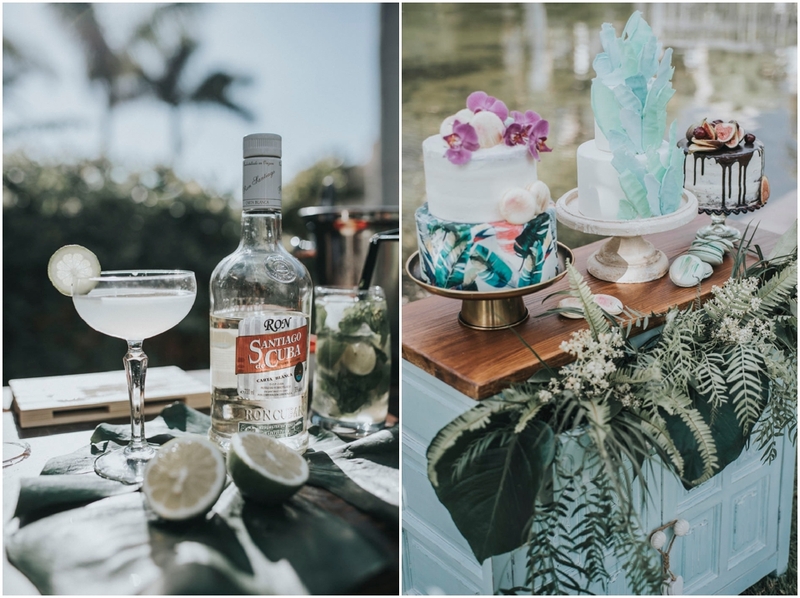 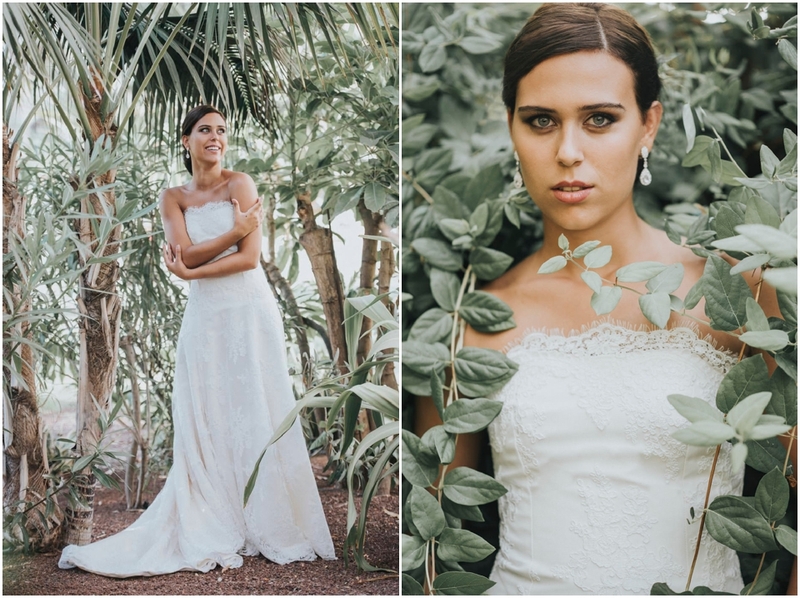 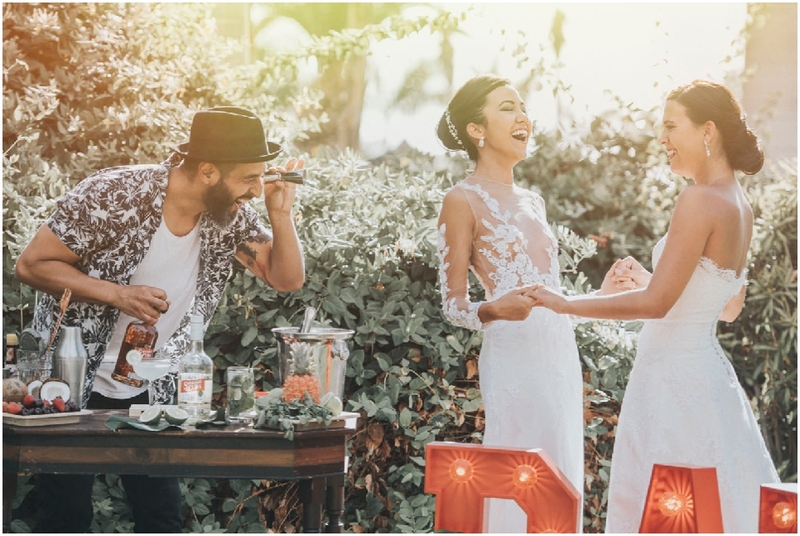 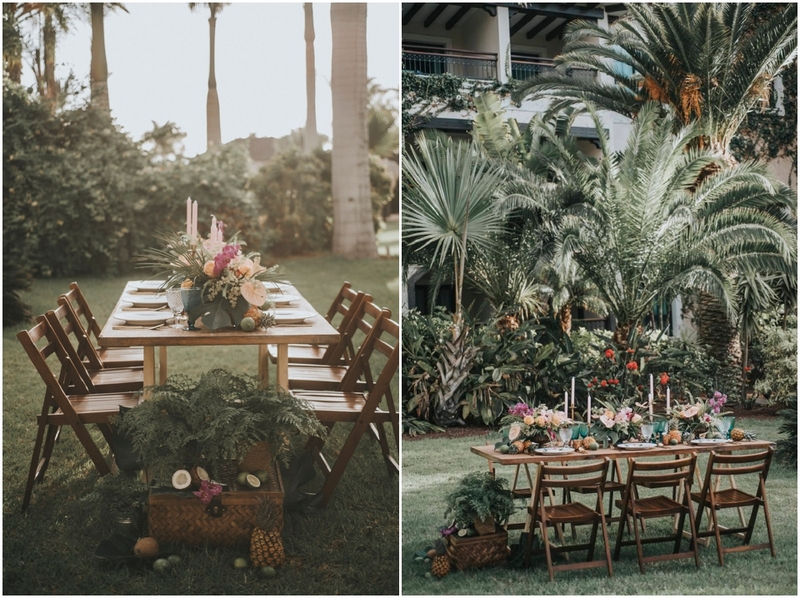 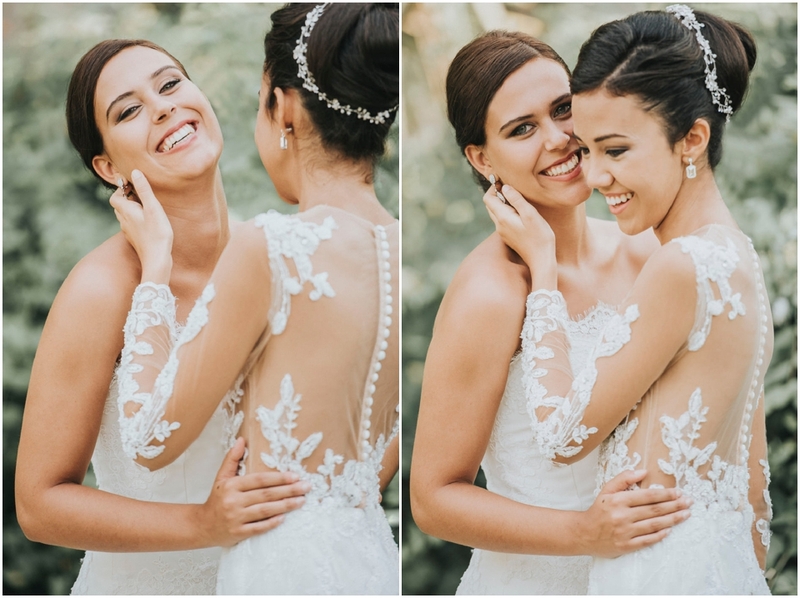 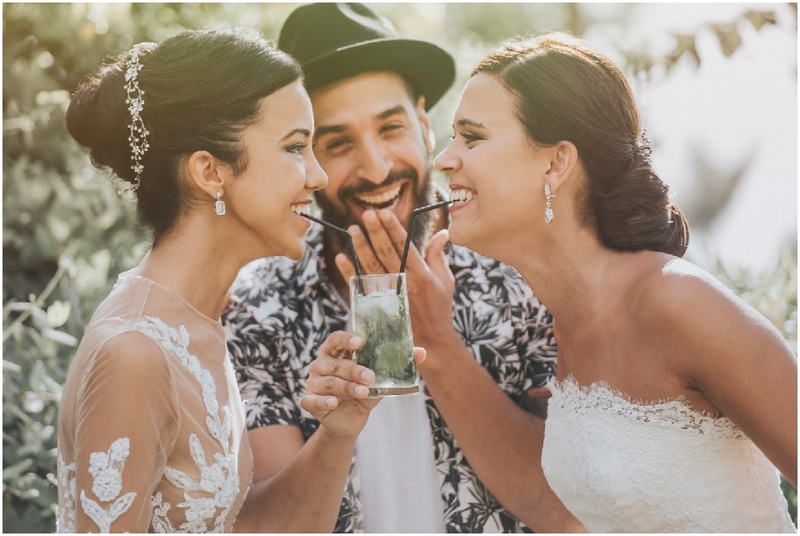 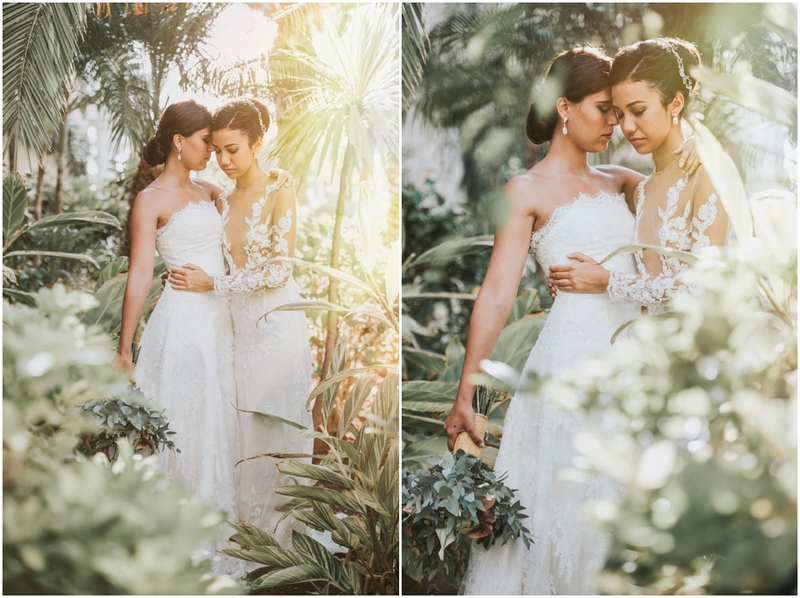 With natural grass under your feet and surrounded by jungle vegetation, Gran Meliá Palacio de Isora Hotel was chosen by these two women as the perfect place to say “I do” wearing the most beautiful handmade designs of the Spirit 2018 collection by Oswaldo Machín. 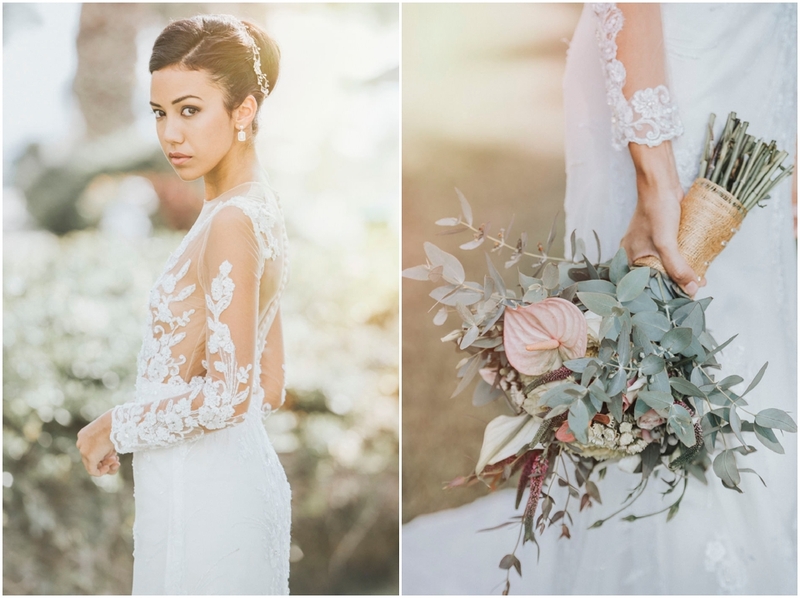 Tulle embroidered with silver lamé, jewellery made with nacre, Swarovski crystal sequins in the shape of petals and rebrodé lace. 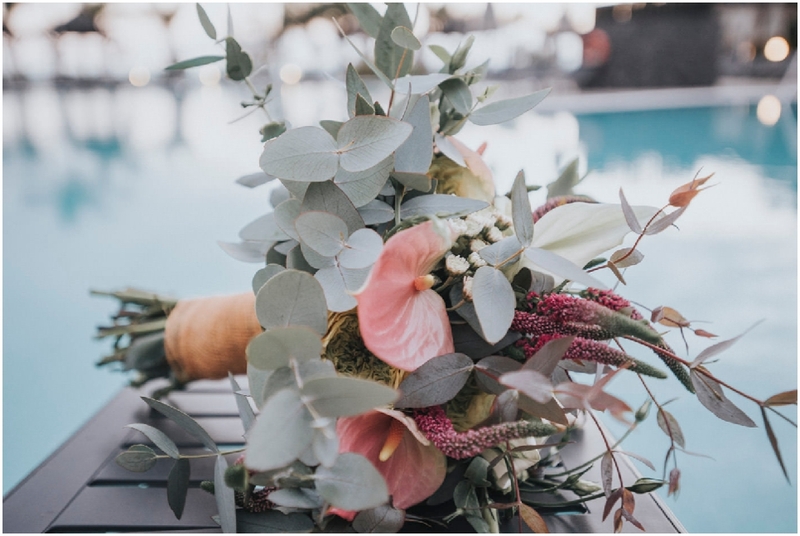 The bouquet of bonsai flowers combines exotic species and green plants in a wild composition full of movement and harmony. 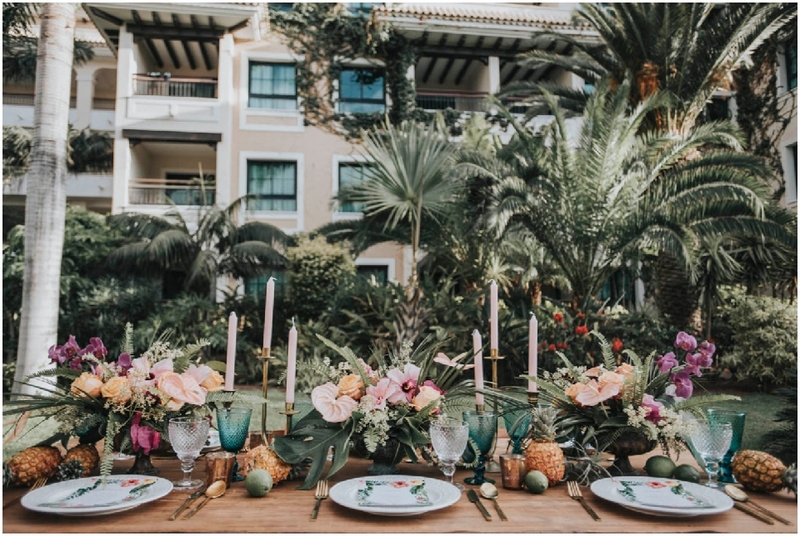 In this natural environment, the colours of the chic tropical decoration of Eclaire play a leading role. 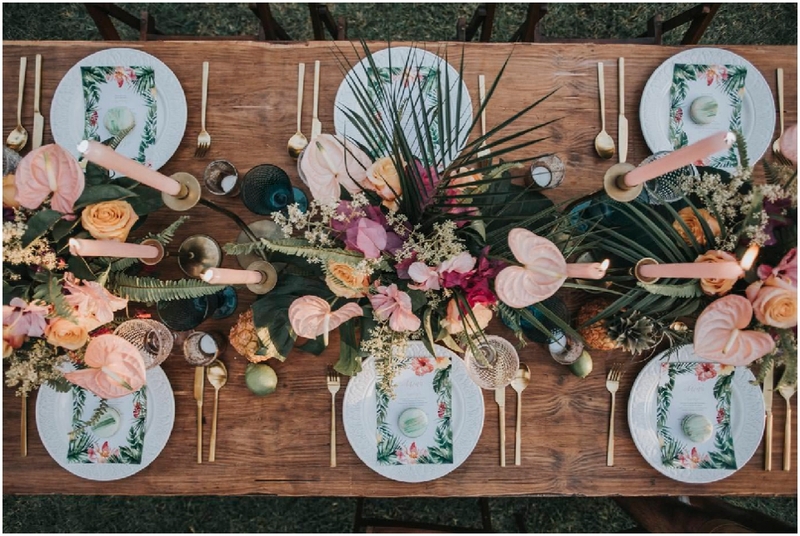 The natural imperial table for the banquet without a tablecloth shows its natural beauty. 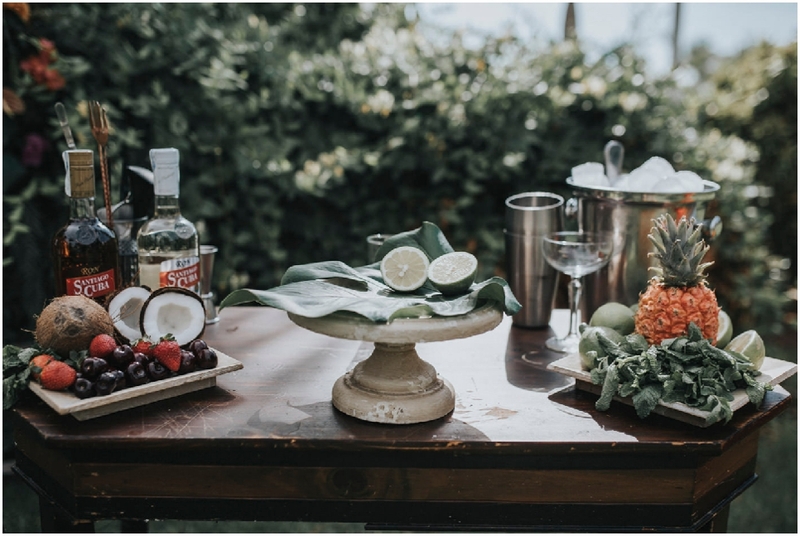 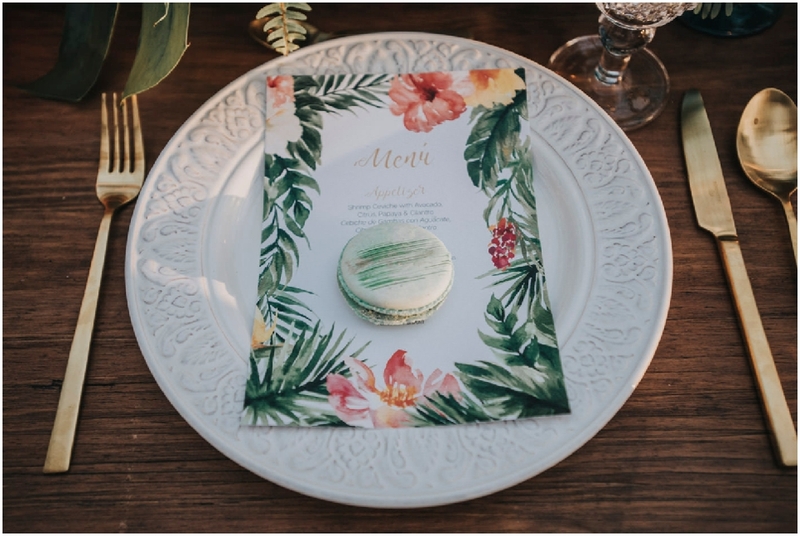 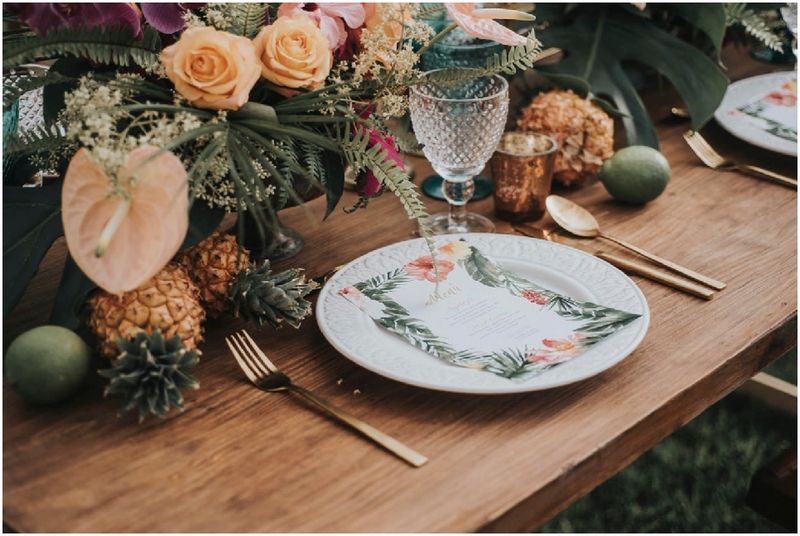 The menus made with natural paper and leaves, and glasses with different textures and colours, are combined with antique furniture from different parts of the world. 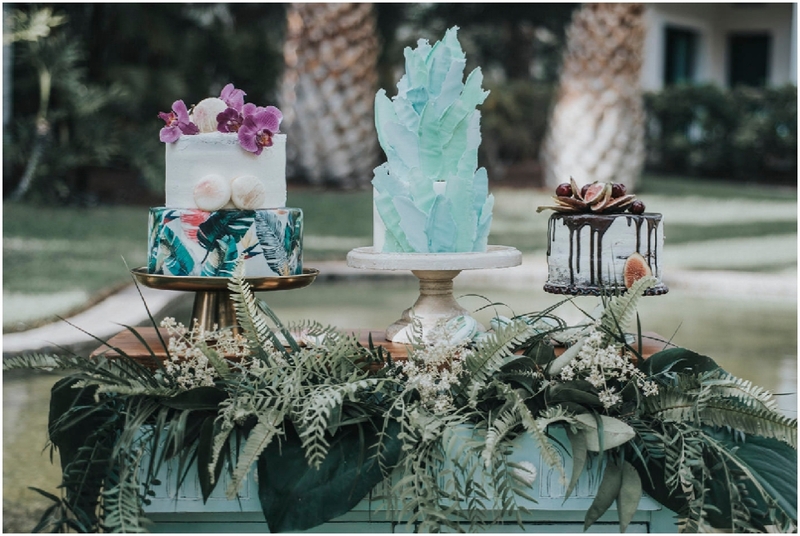 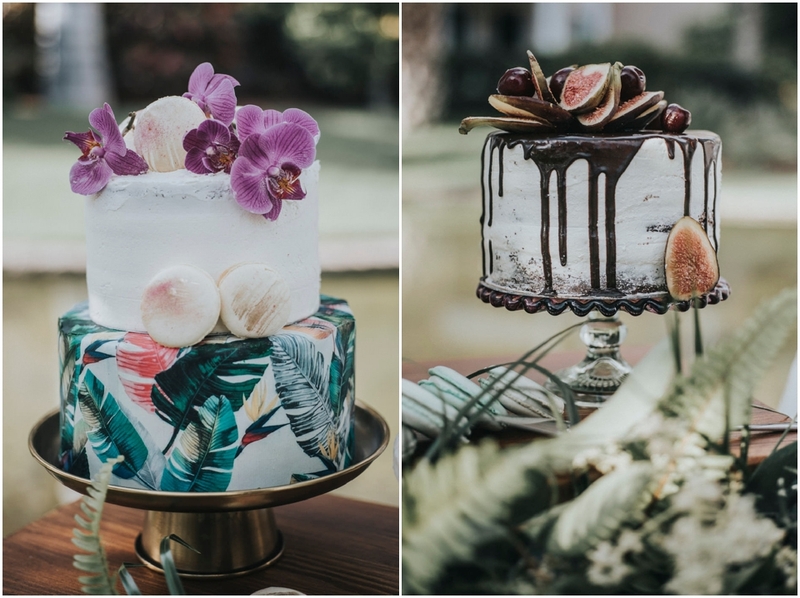 Here we can find the Priscakes cakes crowned by flowers, fruit, drip and icing. 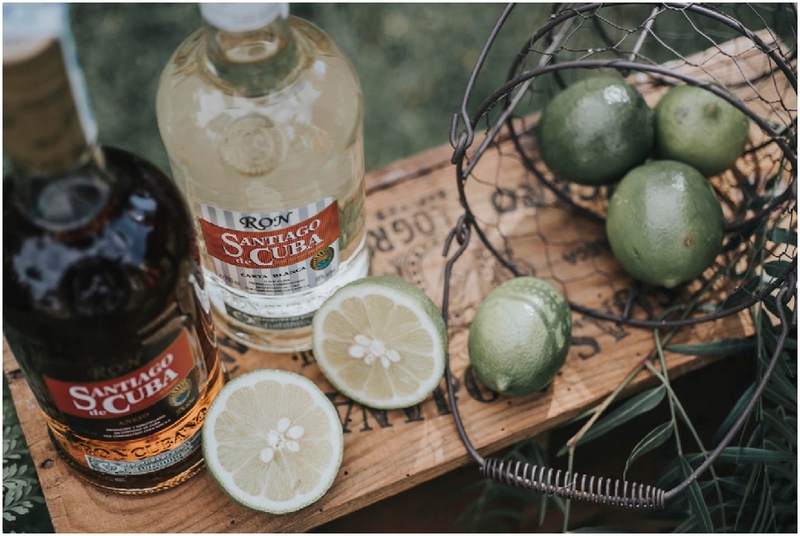 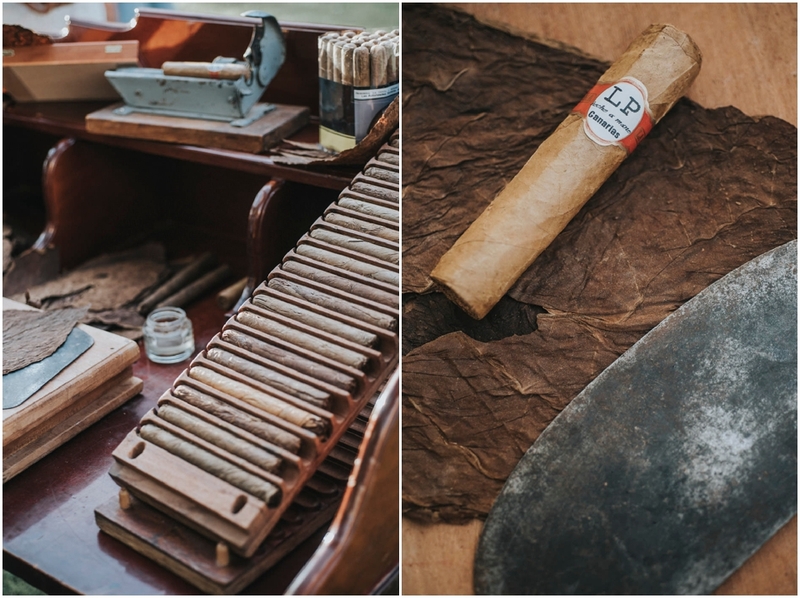 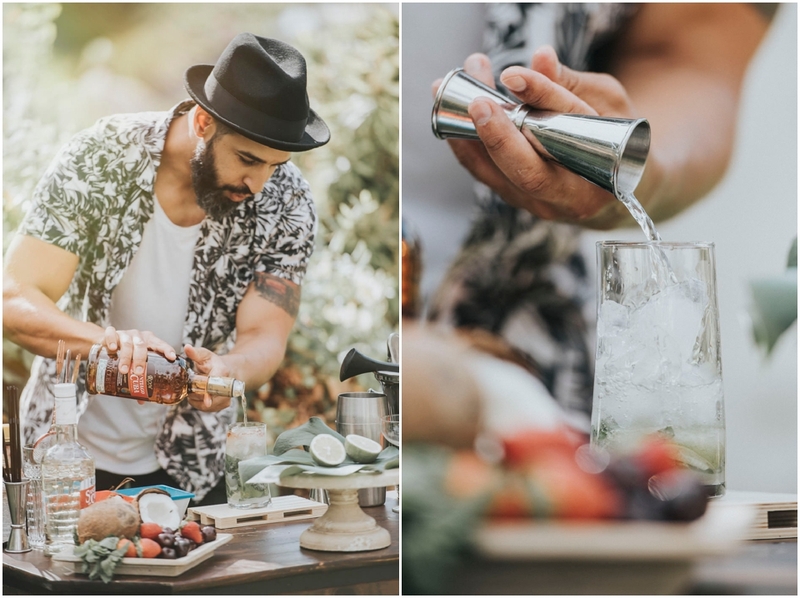 The aroma of the tobacco, which comes from the corner of Havana cigars’ production, and Cuban rum from the cocktail bar managed by barman Abel López, create a mixture of aromas from the tropic regions.